Buying makeup is great, I love the excitement that comes with trying new products but there’s some staples in my stash that have earned themselves serious holy grail status meaning running out of them is something I’m not willing to accept, and I rush out to repurchase them like my life depends on it. On a recent session of late night shopping I found myself on Feel Unique topping up on some recent empties so I thought hey, why not blog about them! It’s about time I dedicate a post to these gems. 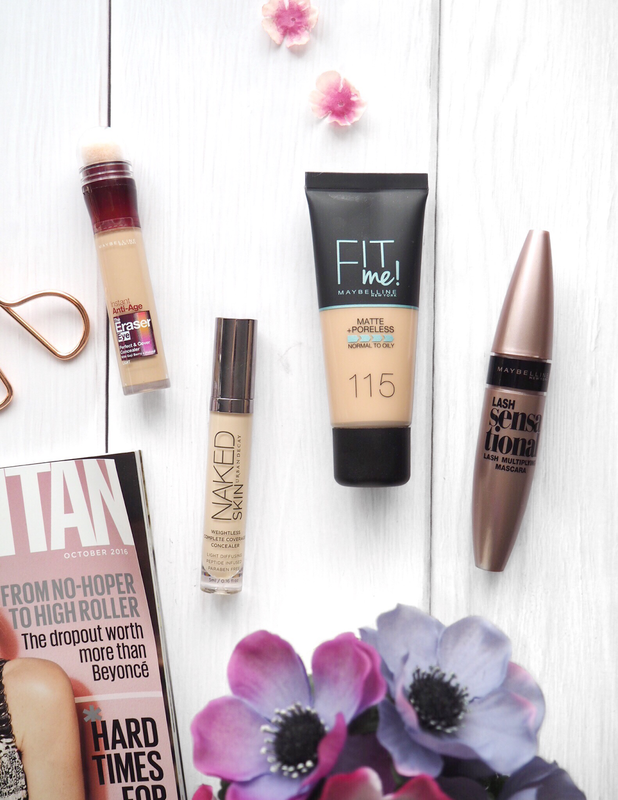 The first thing that went in my basket was my all time favourite holy grail Urban Decay Naked Skin Concealer. My old one started to dry up and my heart began to break as I realised no other concealer will ever compare to this for covering my pesky dark circles. I love the amount of coverage it gives without leaving my eyes looking dry and cakey *vom*. Naked Skin, I love you. The next repurchase was the Maybelline Fit Me Matte & Powerless Foundation, and honestly this has been the foundation I’ve worn practically daily throughout the summer. I’m a bit of a foundation snob, I rarely get on with drugstore options but this has the perfect formula that I’d be willing to pay highend prices for. Everything about this foundation just works for my skin, it keeps me matte whilst giving me medium to full coverage that doesn’t leave me looking like a caked up mess. I also decided to pick up the Maybelline Age Rewind Concealer which used to be my holy grail a few years ago so I thought it was time I finally tried it again. It brings back memories of when Maybelline did this in a foundation and I mean we’re going back years now, does anyone else remember that? Anyway, I’ve used it a few times now and I’m really liking it, not as much as the UD Naked Skin but it’s still a nice concealer for everyday wear. Oh look, another Maybelline product – can you tell I have a real love for them? The Maybelline Lash Sensational Mascara is one I really can’t be without, I use this absolutely everyday and I never seem to try any others. When it comes to mascara I’m really boring so once I’ve found one I like I just seem to stick to it. Lash Sensational adds the perfect amount of length and volume and it lasts all day without smudging on my super watery eyes. So those are some of the products I can’t be without, what are some of your holy grails?